Browse through Basement Technologies exterior and interior waterproofing warranties. 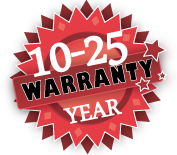 Select from a 10 year to 25 year warranty depending on your waterproofing options. Basement Technologies not only backs up our workmanship, we also offer fully warrantied services. Basement Technologies® Exterior waterproofing services help to ensure that your home is protected from: rain water, floods and other events brought by mother nature. The addition of a sump pump & battery backup system safeguards your home in the event that your exterior waterproofing system can't keep up with some of nature's harsh demands. Don't want to disturb your beautiful landscaping? Basement Technologies®'s Interior De-watering systems are a cost-effective solution to excavating on the outside. The most effective interior waterproofing system should always include the very important addition of our sump pump & battery backup solutions. 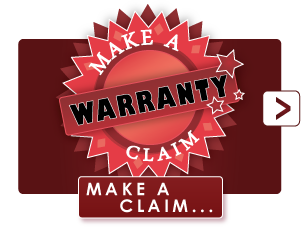 With this, your warranty increases dramatically as does your homes protection! Concrete crack injections are by far the most cost-effective way to prevent water from penetrating your home while also allowing you to finish your basement in a timely fashion. Lengthy warranties are only of value when the company offering them is in business to back them up. 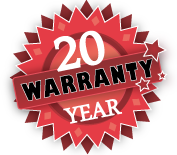 Basement Technologies® has provided services since 1996 and will be there to honor our warranties. The most effective waterproofing system should always include the very important addition of our sump pump & battery backup solutions. We at Basement Technologies® have two different options for your sump pump installation needs: Liberty Sump Pump (240), and Liberty Sump Pump & Battery Backup (PC-Series). Ecofloor subfloor installations are protected under our 5-year workmanship warranty. Read more about our 5-Year workmanship warranties for details. Window well repairs are protected under our 5-year workmanship warranty. 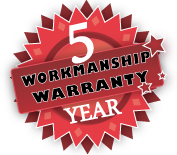 Read more about our 5-Year workmanship warranties for details.